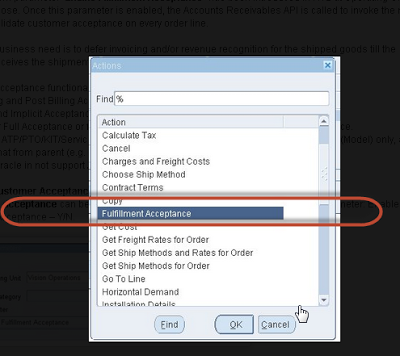 Applications and Integration Blog: Customer Acceptance -2 (Oracle Apps Release12 Feature). Customer Acceptance -2 (Oracle Apps Release12 Feature). Customer Acceptance is New Featured offered from R12 initial Releases.For Complete details about Customer Acceptance please refer my Origial Post. Oracle Applications & Fusion Blog: Customer Acceptance (Oracle Apps Release12 Feature).